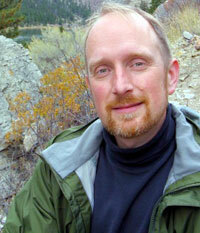 Gerald Schafer arrived at Carroll College in January 2014, after completing a Ph.D. degree in Epidemiology at the University of Pittsburgh. He has undergraduate degrees in biology and music (piano) and an M.S. in Biology from Walla Walla University. He previously taught high school in his native Canada and at Asia-Pacific International University in Thailand.In Pittsburgh, Gerald was involved in translational research based on the Diabetes Prevention Program, a large clinical trial that demonstrated that moderate lifestyle changes were more effective than drugs in delaying or preventing type 2 diabetes. The goal of Pittsburgh project was to evaluate an adaptation of these approaches in a variety of community settings. Gerald’s particular interest was the out-of-pocket expenses faced by participants in the interventions for things like food and activity, as well as the time spent on activities related to the program.His research interests at Carroll include the development of diabetes prevention projects that provide opportunities for students to be involved in improving health and lifestyle in the Helena community and beyond. As a teacher, Gerald’s most important goal is to help students see the connections between how people live and the impact on their health, on individual and community levels.Gerald enjoys cooking and exploring ethnic cuisine with his wife. They are members of local choirs, as well as organic farmers. He also enjoys international travel, running, hiking, and Scrabble. This course presents a multi-disciplinary look at topics in the health sciences. Students will explore a range of issues that affect health at all levels enhanced by presentations from health professionals from the Helena community. Students who are anticipating careers in health and medical fields, those who are considering graduate health studies, as well as students who want to help improve health and wellness in their communities and beyond will find this an engaging introduction to the field of health sciences. This course covers foundational concepts through study design for epidemiologic investigations of infectious and chronic diseases. Evaluation of screening programs and health services research will also be discussed. Problems presented in class will provide students with the opportunity for gaining skills in descriptive and analytic epidemiology and will include outbreak investigations, the natural history of infectious diseases, validity of clinical tests, and statistical methodology used for differing types of epidemiologic studies. This course focuses on the main concepts of nutritional health from a public health perspective. Students will learn about health promotion and disease prevention via nutritional issues, as well as community based approaches to nutritional health and disease prevention. This course addresses private and governmental health care providers and food assistance programs; nutritional interventions and response for vulnerable and special populations; the complex links between health, social, and economic factors with regard to nutrition; and best practice delivery of nutritional information and services. This course addresses key topics in global and national health. Students will gain additional awareness of the biological and social aspects of major global health issues and diseases. General areas of emphasis are chronic and infectious diseases, nutrition, and environmental health. Within these areas populations at risk, health policies, and programs designed to reduce health inequalities will be analyzed. Students will also become proficient in public/global health vocabulary, basic methods used to assess global health, and explore resources for further understanding emerging health issues. Prerequisite: MA 207 and HS 230. Fall and spring semester. Fulfills National Diversity or Global Diversity requirement; but cannot be used for both.